Ooooooh, desserts. 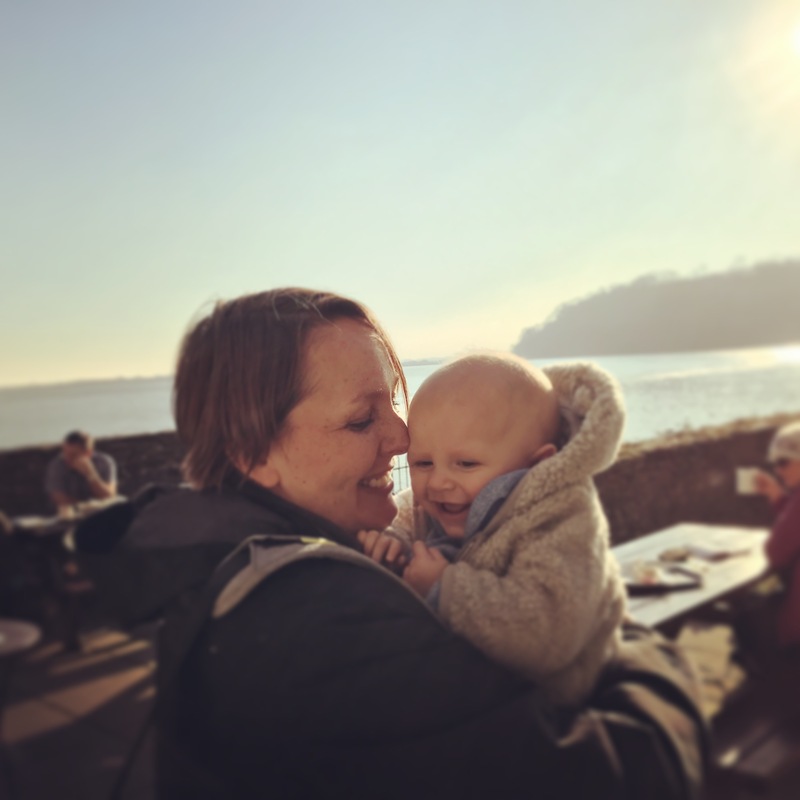 Well I love them, but Andrew pretty much hates them all … and he has a particular hatred for meringue which meant that week 3’s technical challenge of Iles Flottant was a definite no-no for me. I was tempted by the idea of petit fours, but all those little treats hanging around the house? Andrew might eat one but then who would eat the other 23? Me, that’s who, and frankly I don’t need the extra bulk as I have plenty of padding already. So what’s left? Trifle, which is fortunately a much-loved dessert of Andrew’s. Now, I happen to have a perfect and quite unusual trifle recipe – apple trifle. Several years ago when Jason Atherton still worked at Maze Grill, we went there to celebrate the end of my exams (never, ever again will I study whilst working full time – it nearly sent me mad). 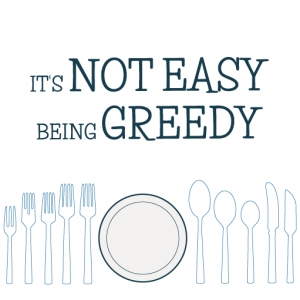 We had delicious steak and chips (at the time I thought it was expensive for what it was, but I haven’t been back to see if the value for money ratio has improved), and Andrew’s pudding was apple trifle with apple doughnuts. The trifle was so unbelievably delicious, and such a perfect pudding for Andrew, that I asked the waiter for the recipe. 5 minutes later, back came a compliments slip with the recipe written on it – not sure if it was Jason Atherton who took the time to write it but I’ll pretend to myself that it was because I think he’s brilliant. I made the trifle soon afterwards – taking a few little shortcuts of my own by replacing the homemade caramel in the custard (much too difficult with the potential of ruining my pans and burning down my kitchen) with maple syrup, and making the jelly with good quality apple juice instead of juicing my own apples. I did take one shortcut for the bake off challenge as well (Mary would not be amused). I used, once again, good quality apple juice to make the jelly. But I mean, seriously, have you ever tried to clean a juicer? That has got to be one of the most boringly annoying jobs in the world and takes away time in your life that you ain’t ever going to be getting back. So it was leaf gelatine and Cawston apple juice for me thanks very much. Sorry Jase. I did brave making the caramel custard. Unfortunately in the house move I seem to have lost the Maze compliments slip, so I actually had to wing-it a bit with the recipe. But it worked, and was totally gorgeous even if I do say so myself, and I am pretty sure my way of making it will save you more washing up than Jason’s way … lazy, moi? If you do want to try the original recipe, apparently it’s in Jason’s cookbook from Maze, which I don’t own so I can’t verify it is definitely in there. The calvados cream is simple – icing sugar, double cream and calvados. Mmmmm, boozy cream. But, apple doughnuts? They sound really yummy but doughnuts are another scary kitchen disaster waiting to happen, and I don’t want to risk burning the house down just to feed my face. 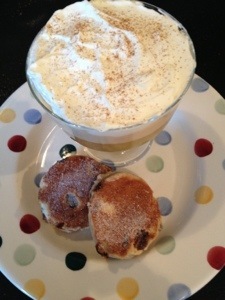 Instead, I decided to make welsh cakes to go with the trifle. 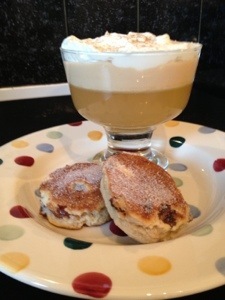 Two reasons for the welsh cakes (apart from the fear of burning the kitchen) – firstly the original Maze trifle does not include sponge in the jelly so it definitely does need another texture to go with the gloopy jelly, custard and cream. Secondly, I LOVE apple and mixed spice together, and I think the welsh cakes work really well as a flavour and texture to go with the trifle. I also haven’t bothered with the apple cider granita which he added to the top of the trifle as I don’t have any cider in the house – but if you want to make it then just sweeten some Magners (that, I do remember, was on the original recipe from Maze!) and freeze it, then scrape some of the frozen ‘granita’ onto the top of the trifle just before serving. Firstly make the jelly by soaking the gelatine leaves while you heat half the apple juice. When the gelatine is soft and squidgy then squeeze out the water and whisk it into the warm juice until dissolved, and then mix with the rest of the cold juice. Put into serving glasses and chill until set. Whilst the jelly is setting you can make the caramel for the custard – put 60g of sugar in a heavy bottomed saucepan and heat until the sugar melts and caramelises. When it reaches an amber colour and is entirely dissolved, pour in your cream and stir vigorously. My caramel went hard and lumpy at first but I put the mixture on a lower heat and kept stirring it with a wooden spoon until it went smooth. Don’t be tempted to try some because it is hotter than the surface of the sun and WILL burn your finger and your tongue. Ouch (whoops). That needs to cool slightly while you separate two eggs and whisk them with a teaspoon of sugar and a teaspoon of cornflour. Then, you can add the cream and milk to the caramel mixture and whisk it until it comes up to the boil and the caramel is once again smooth and melted into the cream mixture. 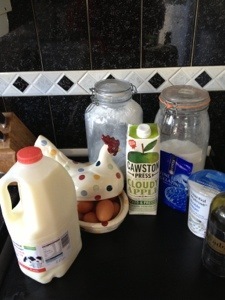 Then, like with a normal custard you pour the hot milk onto the egg yolk mixture and whisk vigorously. Transfer the custard back into the saucepan and return it to the heat. You need to heat this custard gently for around 5 minutes until it thickens enough to coat the back of a spoon – don’t let the custard boil or it will split, but that shouldn’t be a problem as the cornflour is supposed to help stabilise the mixture. Once it is thick, allow the custard to cool and when cold, layer it over the jelly. Chill it in the fridge while you make your calvados cream – which is simply done by whisking the icing sugar and calvados into the cream until you get soft peaks. Add that to the top of the trifle and once again chill until you are ready to eat the trifle. Serve with warm welsh cakes, which are made by rubbing the butter into the flour until it resembles breadcrumbs. Mix in the sugar and mixed spice and sultanas, and mix in the egg to bind the dough. Chill the dough, wrapped in clingfilm, for around 20 minutes and then flatten it out with your hands on a floured surface until it is around half a cm thick (I don’t bother using a rolling pin to roll it). 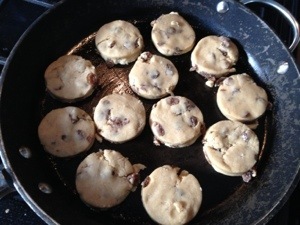 Cut into circles using a cutter until you have used up all the dough and then griddle them on a real griddle or a heavy-bottomed frying pan which has been pre-heated but left on a low heat. I like to lightly grease the pan with some butter before griddling them. They take around two minutes each side to cook – once they are nicely browned you can cool them on a wire tray. Sprinkle them with sugar whilst they are cooling and try not to gobble up them all before you serve the trifle. Next week’s bake off is all about pies, and I am quite tempted by the idea of a custard pie which is their technical challenge. YUM!